A plan four years in the making is now two steps closer to reality. 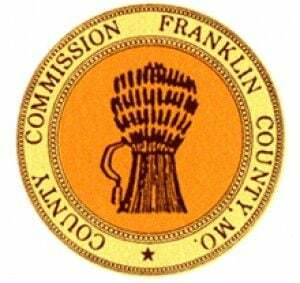 The Franklin County Commission Tuesday gave its full support to Hope Ranch, a nonprofit, nondenominational Christian organization seeking to “break the cycle” for children who are falling through the cracks. Jennifer Hope, EdD, board president and founder of Hope Ranch, presented the 11-year plan for the ranch to the commission in hopes of gaining its support for future grants the group is applying for. The first phase will include infrastructure and road improvements, two homes, a school, furnishings and equipment on 200 acres near Stanton. In addition to the need assessment results, Hope also announced the FCCRB had granted Hope Ranch $529,000 toward its building goals. The combination of the FCCRB donation and an additional $500,000 from a private donor has put the group over the $1 million in fundraising for the month of March. The estimates for Phase 1 of the project are in the $4.5 million range. The 11-year, six-phase plan for Hope Ranch has already been approved by the county planning and zoning commission. A fall 2020 opening is planned for the ranch. Hope Ranch is applying for a Neighborhood Assistance Program grant from the state of Missouri and Hope explained that part of the application requires the support of the host county government. Presiding Commissioner Tim Brinker said Hope Ranch has the commission’s full support and thanked Hope for all the work the group is doing for the at-risk youth. Second District Commissioner Dave Hinson echoed Brinker’s support and said although the effort is great, it’s a shame it is needed in the county. Hope, a former school administrator for both the Union and Washington public schools districts and CASA (Court Appointed Special Advocate), said she was compelled to “do something” after witnessing the reality of child abuse and neglect in Franklin County. Hope Ranch will offer safe, family-style homes with effective alternative schooling, comprehensive counseling services, enrichment programming, weekly service learnings and spiritual growth for children and older youth in both the foster care system and others who are simply not succeeding at home or in school, she said. For four long years, Hope said she and her supporters have been quietly working in the background to lay the groundwork to build a firm foundation for Hope Ranch. This work has included researching evidence-based programs to address childhood trauma and developing effective behavioral management programs. To learn more about the ranch or to make a contribution, call 636-649-9901 or email to info@hoperanchmo.org.